Maudeen Marks -- Bandera, Texas. Maudeen came from a long line of Texas legends. She and her father, Emil Marks, were largely responsible for starting the HOUSTON FAT STOCK SHOW & RODEO which was first held on their ranch near Houston. It was through her vision that the Salt Grass Trail Ride was organized. 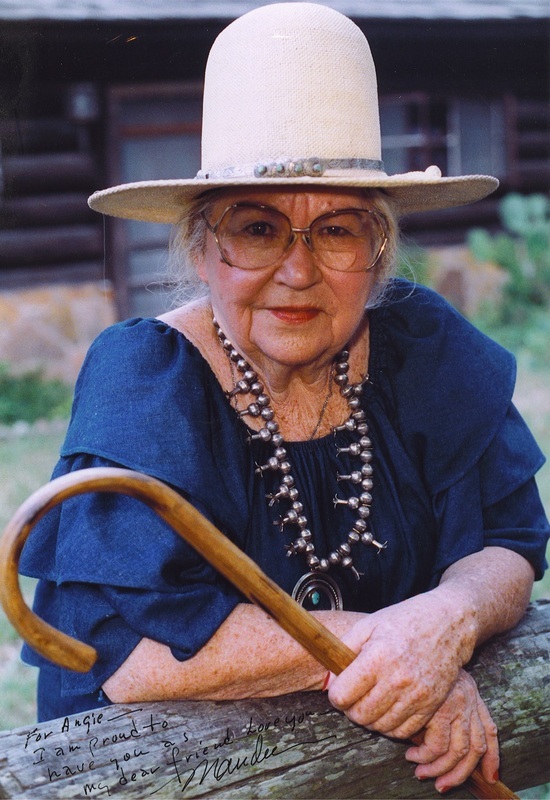 Maudeen was instrumental in the founding of the Texas Longhorn Breeders Association and she served as an advisor. Her brother, Travis Marks, was an original board member with that organization. The Marks’ herd of Longhorn cattle is one of the seven foundation herds of the Association. Ms. Marks was involved in numerous community and state wide activities. She organized the Ladies of Texas Traditions trail riders. In a state which is known for amazing women, Maudeen kept the MARK in REMARKABLE.